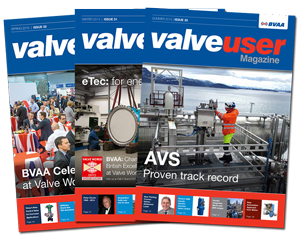 Les Littlewood, Sales Director of Albion Valves UK Ltd discusses how valve technology is taking a lead in industrial workplace safety, and explains how getting the basics right can help safeguard Britain�s workforce. It is a well-known and sobering fact that due to the nature of the job in hand, industries such as building services, construction and manufacturing, have one of the highest occurrences of workplace injuries and fatalities. Although there has been improvement in health and safety at work, statistics still reveal a huge cost to human life and quality of life, as well as financial implications for businesses in dealing with the consequences. Yet, more can be done to help further reduce the number of incidents by getting the basics right. To help promote safer working environments, at Albion we urge specifiers and engineers to be vigilant and not to compromise on the products they are sourcing for industrial and building services applications, and always ensure they have the correct accreditations and are fit for purpose. Paying attention to the basics makes for a safe and healthy workplace, which can in turn increase productivity, support engineering excellence and focus energy into meeting customer needs. The majority of our distributors have customers operating in industrial and construction workplaces, where explosive atmospheres are commonplace. This includes environments where industrial processes may release flammable gases or vapours. This is a potentially dangerous environment on two levels: explosions or fire can cause loss of life, serious injury as well as significant damage; and poisonous gases can cause long-term respiratory problems for those in direct contact with them. Albion has added a range of fire-safe, anti-static, stainless steel ball valves to its product portfolio, designed to prevent the leakage of hazardous substances from the valve in the event of a fire. Anti-static valves are suitable for installations within the pharmaceutical and petrochemical industries, as well as a variety of other industrial processes dealing with oil, gas and other flammable media, where there is an increased risk of explosion if substances leak during a fire. The anti-static device fitted on the valve, ensures that friction caused by the operation of the valve does not cause a build-up of static, which could potentially spark and have disastrous consequences. Compliance with the API 607 standard ensures that the valves are fire-safe. The standard looks at the performance of valves by establishing limits of acceptable leakage when they are exposed to defined fire conditions. Valves that meet the API STD 607 requirements should be able to retain the pipeline media long enough for the fire to be extinguished - to avoid fueling the fire further. Fire-safe valves are also required to be operational after exposure to fire in order to move from the �open� to the �closed� position. Similarly, the ATEX certification mark is designed to minimize the risk of fire or explosion arising from the ignition of dangerous substances in the workplace. Albion�s range of stainless steel valves is ATEX certified for use in potentially explosive environments, and guaranteed not to spark if they come into contact with a combustible foreign body. The ATEX directive applies to electrical and mechanical equipment intended for use in potentially explosive atmospheres including; mines, factories, sewage plants, biomass processing, oil and gas distribution. The ATEX directive also requires the traceability of products, including valves and fittings, throughout the whole supply chain, ensuring that manufacturers, authorized representatives, importers and distributors all guarantee that the product they place on the market complies with this directive. Another major safety threat posed to engineers and industrial work staff is in environments with high-pressure systems operating above 0.5 bar. In this instance pipework, valves and fittings are required to be compliant with the Pressure Equipment Directive (PED) to ensure the equipment is able to withstand pressure and prevent system�s bursting. A common and potentially lethal occurrence in this situation is when relief valves are specified to do the job of a safety valve. Safety valves are the last line of defence in a pressure system, however engineers and specifiers need to be mindful that requirements can vary significantly from system to system. In applications where PED is applicable, it is mandatory to use safety valves with the appropriate approvals. If a valve without type test approval is installed there is no guarantee that required blow-off at 10% would be reached, which poses a big safety risk. Albion�s range of safety valves is based on a traditional model; they have been improved to bring them up to date with modern valve design and performance. They come with a unique 2-piece spindle to ensure a safe, tamper-proof discharge, even if some form of external restraint has been applied, as well as an increased discharge capacity and a 24 month market-leading warranty. The Gunmetal Safety Valve and its sister product the Gunmetal High Discharge Safety valve, are both designed for use with steam, gas and liquids. The products are WRAS approved, can operate in temperatures from -50�C to +195�C (with a maximum 16 bar pressure), and can be also ATEX certified upon request. Safety valves are all either set, sealed and certified by the factory, or onsite at Albion on a test rig prior to dispatch. Each valve is laser etched with its own unique serial number to allow certification to be traced. Working with gas is one of the most hazardous industrial occupations; in the UK natural gas is distributed through a 275,000km network of buried pipes to domestic, commercial and industrial users. Dangerous and illegal gas work carries high penalties, and careful network management and equipment procurement is of paramount importance in this field. 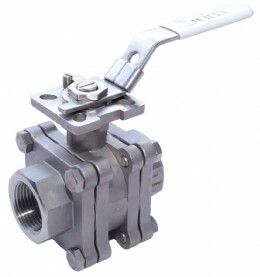 To help get the basics right Albion�s range of brass ball valves for gas applications is verified with industry standard EN331 from BSI (British Standards Institution) ensuring products meet the optimum standards for quality, reliability and safety.